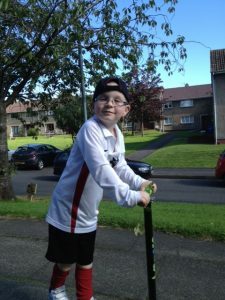 My oldest Lucas loves his scooter, way more than a bike. He doesn’t seem to have the co-ordination or power for a bike but can go anywhere, steer and scoot about to his hearts content on his Maxi Micro-Scooter. 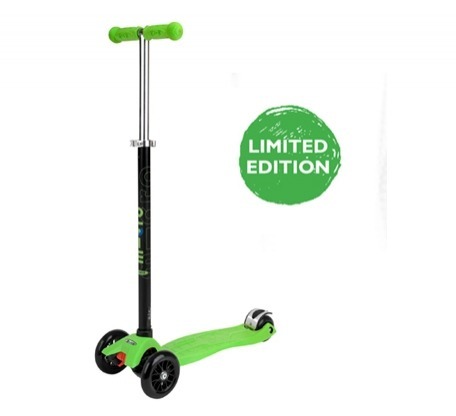 We were sent through a limited edition Neon Green Maxi Micro-Scooter. It looks awesome, wears well and is extremely well made. I love this scooter almost as much as the boys. I’ve added an adult one to my Christmas list. For after I’m pregnant obviously. When you take the Maxi-Micro scooter out of the box it looks like this. It is so simple to setup, I did it myself in five minutes. You clunk and click the T bar into the hole at the font and away you go. There is also an adjustable hinge type feature below the handles, when open you can raise the height of the T bar and when at the desired height close the hinge and it’s stays securely in place. The hinge is quite stiff which is great, so little hands don’t keep adjusting the height wanting it to be bigger than it should be. The Micro Scooters range are different from the other scooters I have seen, most handles turn to go right or left, with these you have to learn slightly to either side to turn. Far safer I feel, as when going fast and turning the handles you could easily loose balance. Another great thing about these scooters is they have a brake. The brake is situated at the back of the board, where the user puts their foot on it to slow the wheel. It’s not severe so it throws them forward. But I still make sure my child always wears a helmet when out and about for long periods on their scooter. 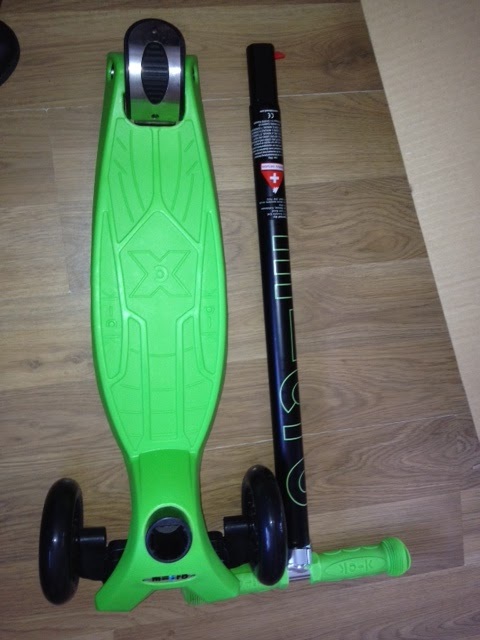 The Micro Scooters foot board is non slip and has a raised design on it minimising accidents from slipping off. The handles are also non grip and easy to use. The wheels are well made and sturdy. And the brake at the back has a metal plate over it. The base plate is bigger than the Mini Maxi Scooter making it last as they grow. The Maxi Micro Scooter is for children aged 6-12 years so it’s a great investment, something that can grow with the child. I cannot recommend these Scooters enough, definitely the best I have come across and my boys love them. A perfect main Christmas gift. 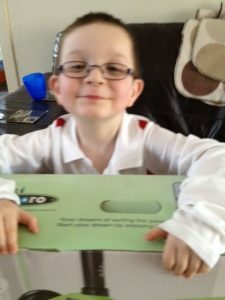 And you can buy lots of different accessories for them on the website. Having fun on the Scooter.